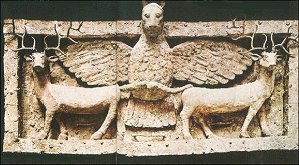 Nimrud was the great legendary ruler of ancient Mesopotamia. 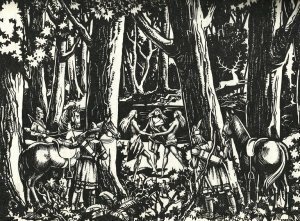 One day, his two sons, Hunor and Magor went hunting. They saw a great white stag which they pursued. 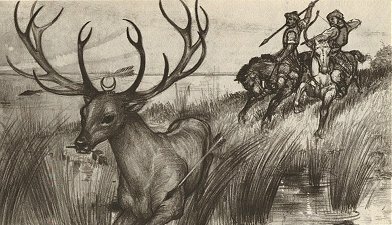 The stag continuously eluded them and led them to a beautiful and bountiful land. This vast land was Scythia, where Hunor and Magor eventually settled with their people. 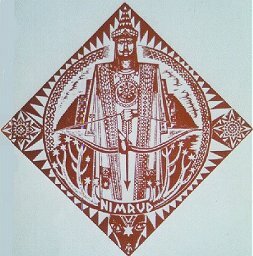 The descendants of Hunor's people were the Huns, and the descendants of Magor's people were the Magyars. As they grew in strength and numbers, first the Huns, and then the Magyars went on to conquer new lands. This story not only symbolizes the close ethnic relationship between the Huns and the Magyars, it is also a clear reference to their Sumerian and Scythian origins. The stag has also been an important symbol in the Sumerian and Scythian cultures. 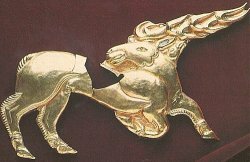 The mythical story of the Wonder stag illustrates how myths and legends are based on historical facts as the archeological and ethno-linguistic evidence supports the Sumerian-Scythian-Hun-Magyar relationship which is told by this story in ancient traditional mythological form. Just as in Sumerian and Scythian myhtology, in Hungarian mythology, the stag is also seen as a mystical being with magical powers and whose role was to indicate the will of god and to guide the Hungarians accordingly.